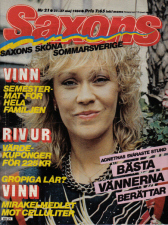 Most of the following articles/interviews have appeared in Swedish magazines/newspapers and have been translated by myself (unless otherwise noted). Eventually I will be adding more material. 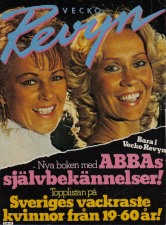 When you click on a link, a new window will open up with the article. Once you've read it, just close the window. 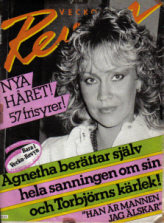 Below are some scans of some Swedish magazine covers that Agnetha has appeared on.